We may earn a small commission when you make purchases from links in our articles. Do you have towels or clothing that smell musty no matter how many times you’ve washed them? Keep reading to see how to get musty mildew smells out of towels and clothing. Have you ever forgotten a load of laundry in the washer for a couple days and the laundry smelled terribly of musty mildew? 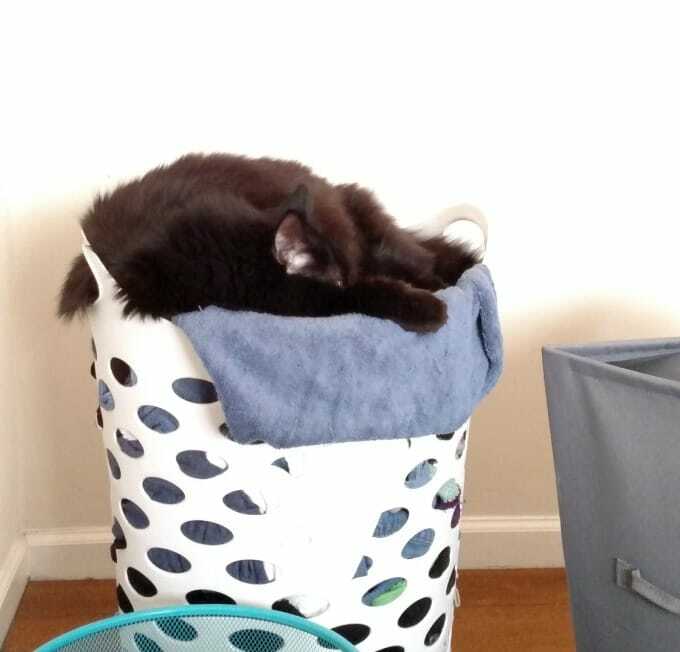 I know I’ve totally forgotten about that damp towel at the bottom of the hamper. Either way, musty mildew odors can be tough to get rid of. 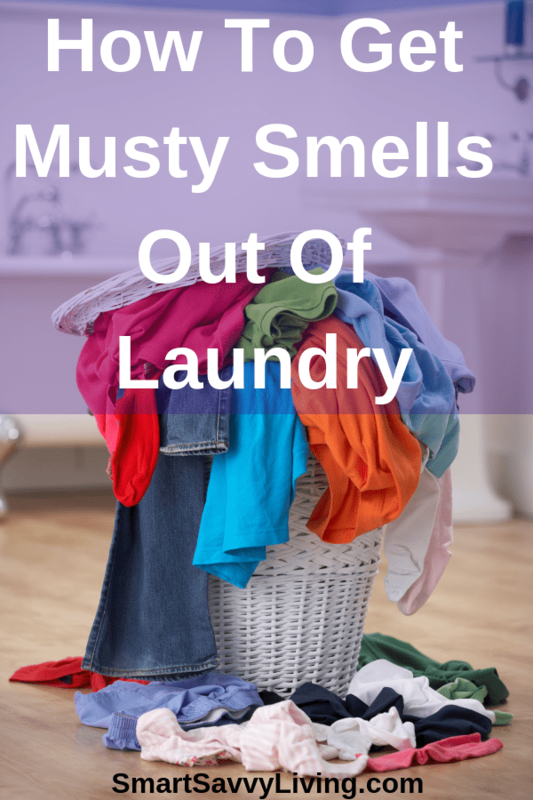 So, today I’m sharing how to get musty mildew smells out of towels and clothing. Mr. Savvy likes to make fun of me for my love of plain white vinegar and how I love using it for so many things from cooking to cleaning. Yes, I always have a wholesale-sized jug or two of it in the pantry. But, it truly is good for so many things, including getting musty mildew smells out of your laundry. For milder odors, you can simply add about a cup of white vinegar right into the washer after it’s filled or into the fabric softener dispenser for front-loading washers. A lot of people recommend using super hot water when doing this, but I honestly have always used warm and even cold. For heavier odors or those that persist after being washed with vinegar, it’s best to soak the stinky laundry in the vinegar. This is super easy to do in a top loading washer as you can turn the washer on to fill with water, add in a cup or 2 of vinegar, let it agitate a bit, and then stop the washer and let it sit for a few hours or overnight. Newer washers may automatically drain after so long so you may need to unplug the washer to let your laundry soak. With front-loading washers you can’t really soak items in the washer, so you’ll need to use a bucket, sink, bathtub, or another leak-proof container big enough to fit what you need to soak. You don’t need to soak everything in pure vinegar. Add enough water to cover the laundry and then just mix in 1 – 2 cups of white vinegar and let it sit for several hours. Then, wring out the excess water and wash as you normally would. Have you had luck with using vinegar to get musty mildew smells out of your laundry? © SmartSavvyLiving.com, 2011-2018. Please see our FAQ Page for our content usage policies. Unauthorized use and/or duplication of this material without written permission from this blog’s author and/or owner is strictly prohibited.